Friends and neighbors….this is short notice for an amazing show but please help me spread the word. 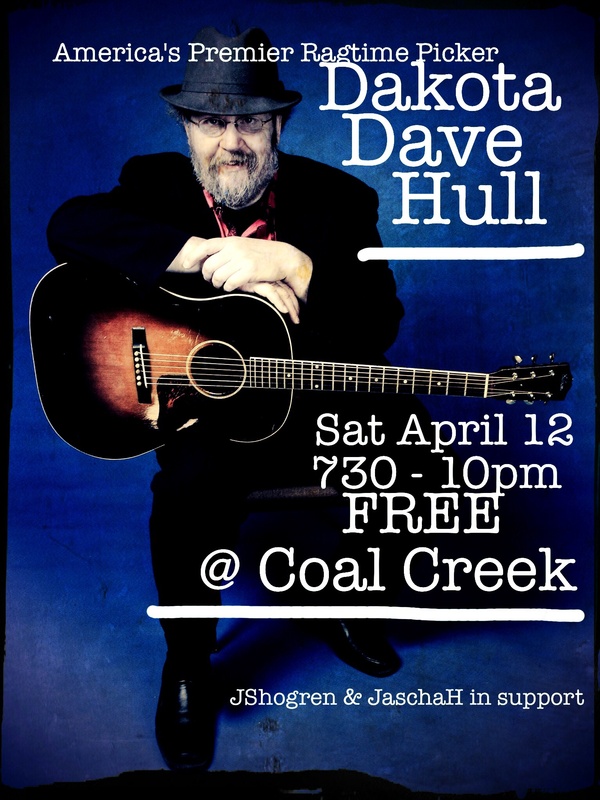 Next Saturday April 12th from 730pm-10 at Coal Creek Coffee, we will have playing one of America’s premier ragtime/roots guitar players Dakota Dave coming to town off his tour in Japan. Coming from MPLS, Dave has played with all the folkies at all the folk clubs around the world, including the Prairie Home Companion show. Help me fill up the joint.